Sewing Like Mad: Side Pocket Pattern Drafting and Sewing Tutorial. I guess we can call today's post a bit of a recycled but also upgraded post. 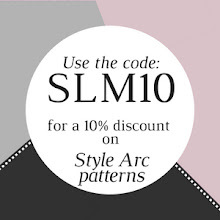 This tutorial was first brought back in November last year as part of Elegance & Elephants' Knock it Off-series but has never been brought home here to Sewing Like Mad. The photos have been reedited and the text corrected where needed. 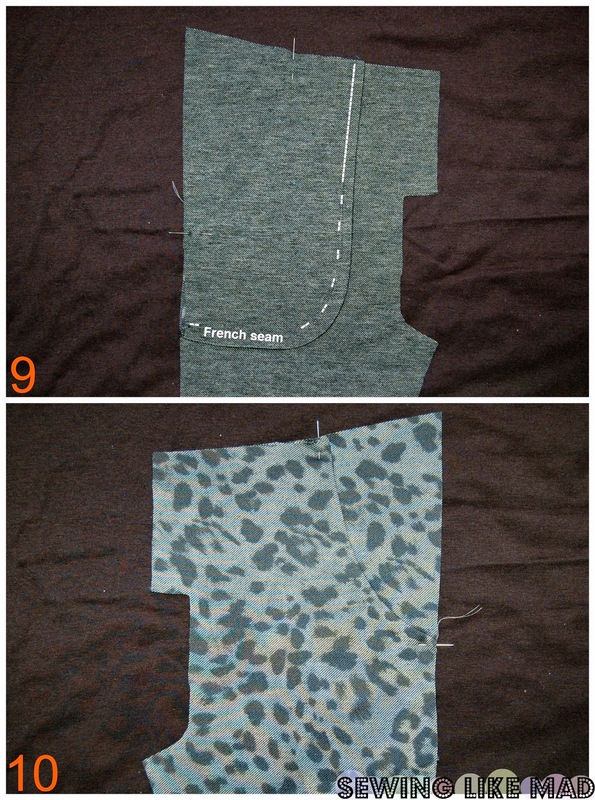 This is a tutorial on how to add a side pocket to any pants pattern plus how to sew the pocket bag with French seams. 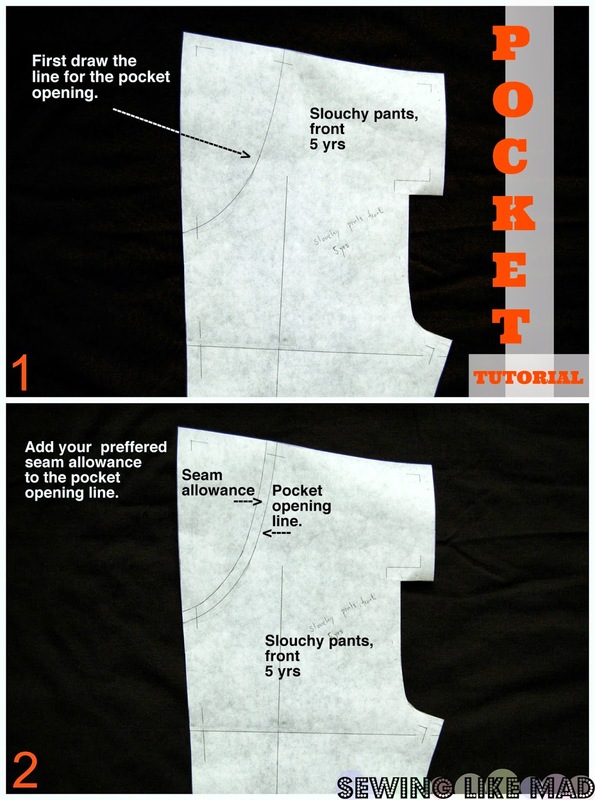 1: Start on your front pants pattern and draw the line for the pocket opening. There are no rules - it is more a matter of design and what look you want to give the pants - but remember you have to make the opening big enough for a hand to enter. 2: Add seam allowance to the pocket opening. 3: Now it is time to draw the line for the pocket bag incl. seam allowance. Again there are no rules but there has to be room for a hand in there. 4: Now you can very precisely trace two pocket bags. 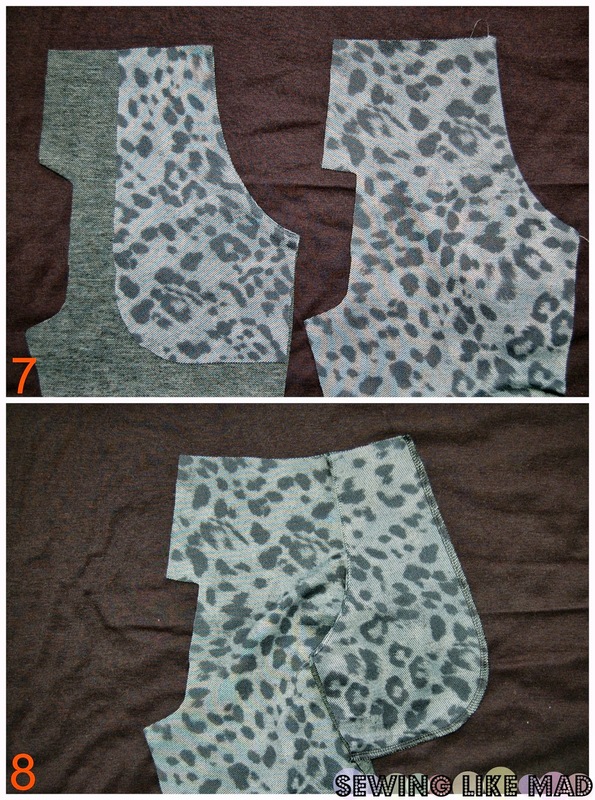 The only difference in the two pattern pieces are (as you can see in photo 4) the left top corner. The back pocket bag follows the outer line of the pants and will be visible when the pants are done (which mean you can either play with contrasting fabric or use the same fabric as the rest of the pants are made of) and the front pocket back follows the pocket opening. 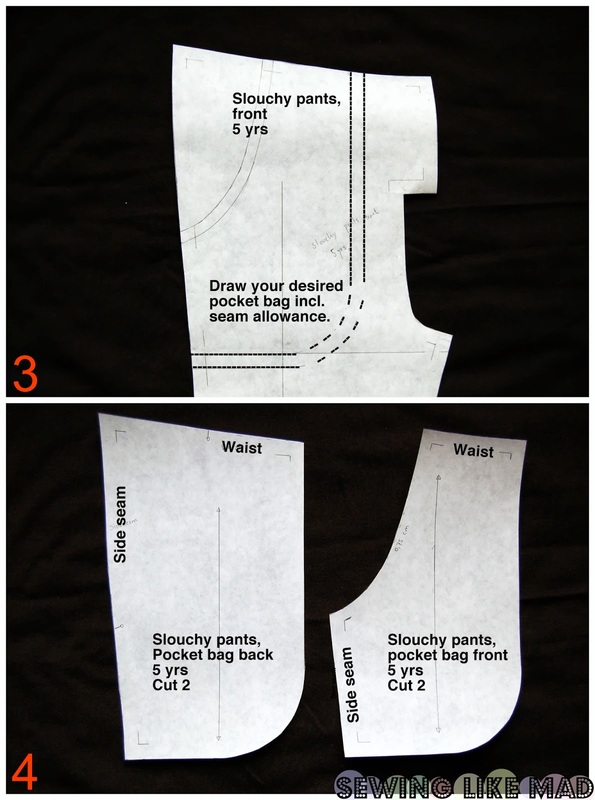 5: Now you can cut away the top left part of the front pant pattern because you will have the back pocket bag to cover that bit. It is important to note here that I will cut the pocket bags in the same fabric as the pants them self which is obviously the easiest but not always possible. 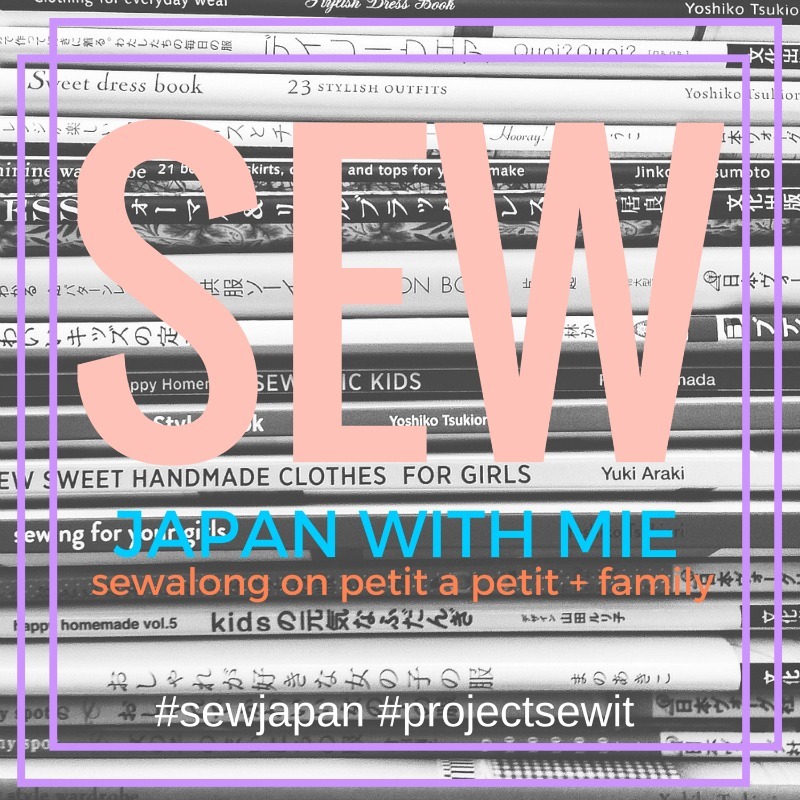 You can do it if the fabric is thin like here but in thicker fabrics like denim, wool or corduroy you will have to do a little extra pattern drafting and sewing but soooorry I won't show that in this tutorial. 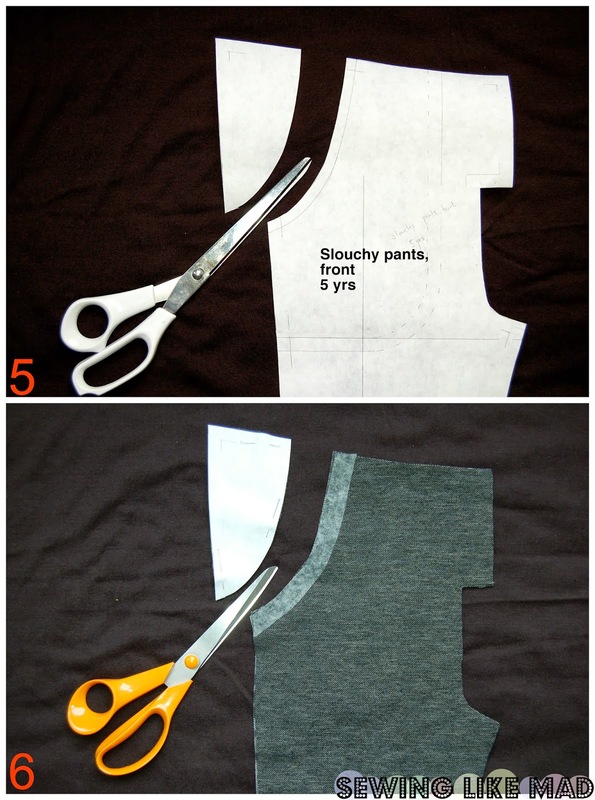 6: If you are a bit confused like me and cut the pants first and then realized I wanted pockets you can use the little top left piece you cut of (see photo 5) to cut that bit of your already cut pants - ahem, great planning here! 7: Sew the front pocket bag to the pants in the pocket opening right side against right side of the fabric. 8: To sew the front and back pocket bags together with a french seam you have to first sew them reverse against reverse side of the fabric. 9: Then you turn the pocket inside out and seal the overlock seam (see photo 8) with a stitch and after you have ironed it you will have a very nice looking pocket bag. 10: Here you see the pocket from the front. Easy? yeeeees! 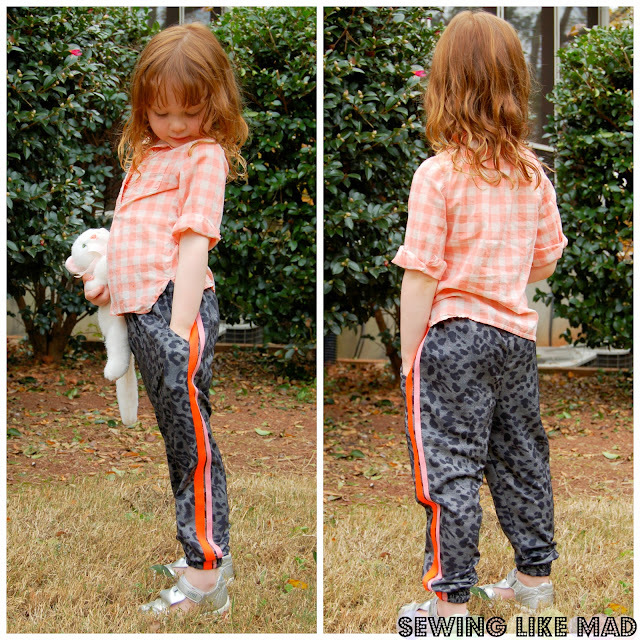 And here you see the finished pair of slouchy pants perfect for play, fall and back to school attire. Brilliant tutorial. Iove the French seam for the pocket bag. What a nice finishing touch. YES, IT`S BRILLIANT! lOVE THIS PATTERN AND FABRIC!